Richard serves as Global Strategy Advisor to the Centre for Information Policy Leadership (CIPL) at Hunton Andrews Kurth LLP, a path-finding global privacy and security think tank. He brings to the position nearly 40 years of experience working across the private and public sectors. 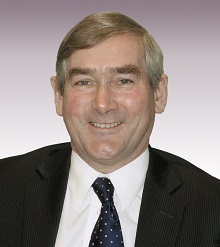 Prior to joining CIPL, Richard was appointed by HM Queen to serve as Information Commissioner for the United Kingdom from November 2002 to June 2009. In this position, he held independent status and reported directly to Parliament. While at the Information Commissioner's Office (ICO), Richard had a wide range of responsibilities including regulatory powers under the Freedom of Information Act of 2000, the Data Protection Act of 1998 and related laws. In 2008, Richard was recognized as "Privacy Leader of the Year" by the International Association of Privacy Professionals (IAPP) and ranked third in Silicon.com’s global "IT Agenda Setters" poll. That year, he also served as a visiting professor at Northumbria University. Richard is frequently sought as a keynote speaker for industry conference and events and is regularly quoted in the business and trade media.